Sears Point Development - Welcome! Sears Point Development LLC is a commercial real estate investment firm with broad expertise focusing on properties located in South Eastern Massachusetts. Incorporated in 2008 and headed by Daniel Russell, Sears Point has quickly established itself as a niche developer with a solid investment philosophy. Sears Point Development seeks to purchase, renovate and add value to existing distressed commercial properties and in turn make a profit for its investors. 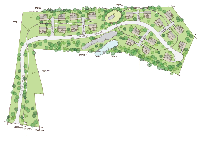 The development team also purchases raw land that can be permitted, built and/or sold. Due to its strategic partnerships with construction, engineering, architectural and legal firms, Sears Point Development can bring projects to completion faster than most developers. Sears Point Residential division offers design/build services for high-end, energy efficient custom homes. Copyright 2019 Sears Point Development. All Rights Reserved.